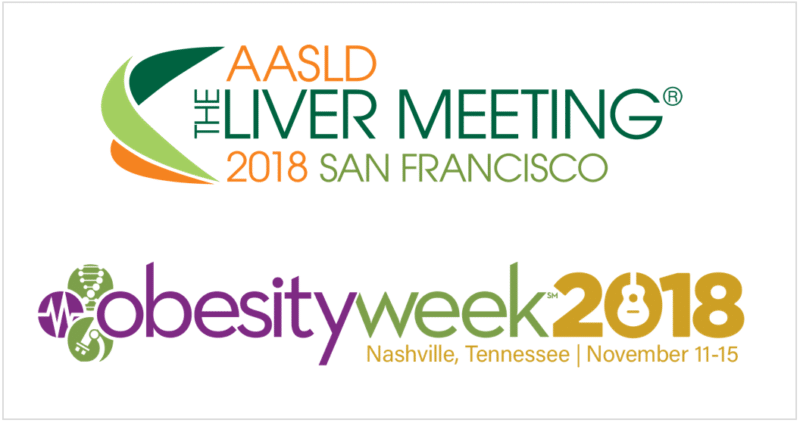 Linköping, Sweden, [November 5, 2018]: AMRA has received a number of abstract acceptances for the upcoming AASLD and ObesityWeek congresses. AASLD is the leading organization of scientists and healthcare professionals committed to preventing and curing liver disease. AMRA’s abstract has been selected by the Scientific Program Committee of the American Association for the Study of Liver Diseases (AASLD) as a Poster of Distinction for presentation at The Liver Meeting® 2018 in San Francisco. Posters of Distinction are classified as being in the top 10% of scored poster abstracts and will receive special recognition in the Poster Hall. ObesityWeek is the world’s largest obesity-centric conference, which hosts world-renowned experts to share innovations & breakthroughs. AMRA received two abstract acceptances, which will be presented by Jennifer Linge, Lead Scientist, Personalized Medicine at AMRA. Read AMRA’s publication Body Composition Profiling in the UK Biobank Imaging Study published in Obesity that present results of a body composition study of over 6,000 subjects, stressing the need to measure and investigate several fat compartments in order to understand and develop treatments for multiple metabolic diseases.